Mindfulness-Based Stress Reduction (MBSR) is an intensive eight-week course designed to transform your relationship with stress, improve your health, and increase enjoyment of life. 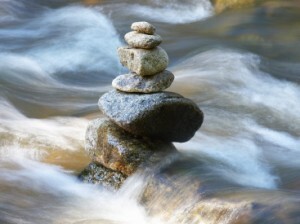 "Mindfulness-Based Stress Reduction is highly respected within the medical community. It is not offered as an alternative to traditional medical and psychological treatments but as a complement to these approaches. Our experience over nearly three decades suggests that doing what you can from yourself, coupled with what your physician can do for you, can be far more effective than either approach used on its own." For more research information, visit www.umassmed.edu/cfm and click on "Research."